If you are getting tired of the NY bar scene take the short trip over the border and check out NJ nightlife. From bars to restaurants to clubs you will find everything you need to have a great night. A vacation to New Jersey is nothing if you don't experience its night clubs. New Jersey nightlife is so unique and complex, with so many places to go and have an unbelievably great time. Bliss is often voted the top place to visit while in New Jersey. With a huge capacity of more than 1000 people and the world's top DJs, Bliss offers you the opportunity to learn what nightlife in New Jersey really is. So, if you are on a vacation on the East Coast, make sure to visit this juicy and energetic club. There is a themed night every day, like International Dance Night every Wednesday, with the best dance, vocal house and hip hop music. New Jersey may be a small state in the US, but that doesn't make it less dynamic and energetic when it comes to partying. Nightlife in New Jersey is very diverse and there are numerous clubs where you can have a great time with your friends while you are on a vacation. 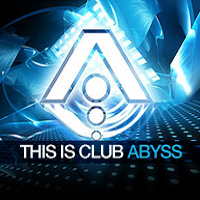 Club Abyss is one of the most popular night clubs of that kind. Often visited by some of the internationally acclaimed DJs, this club is a place where parties are always at their greatest. Experience the hot and magical atmosphere of New Jersey nightlife in the marvelous Club Abyss. When it comes to music, a vast array is played at this place, such as pop, R&B, merengue, reggaeton, house music, bachata, freestyle, hip-hop and classics. The club is open to people who are at least 21 years old. New Jersey nightlife is something that everyone who loves partying should experience. The city of Newark is full of attractive night clubs. 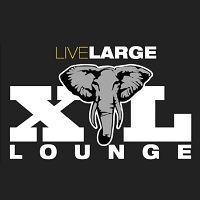 XL Longue is one of them. A dynamic club, divided into two parts - one of which plays Latin music and the other one a mix of many genres - is great for a party with friends. The club is open from 9 pm to 3 am from Thursday to Saturday and from 9 pm to 2 am on Sundays. Price ranges are moderate and outdoor seating is also provided. The lighting system is what makes the club special and it is comprised of strobe lights, laser lights and four rotating heads. Several bars are at the club and they all serve many sorts of drinks - from green apple martinis to Alabama Slammers. 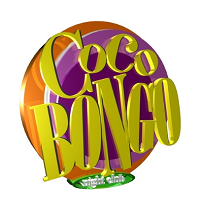 CocoBongo is a worldwide famous night club brand with branches in various parts of America. All these local branches of clubs offer amazing and unforgettable parties and New Jersey is not an exception. With an additional ingredient of the own New Jersey nightlife style, you can be sure that you won't be disappointed if you visit the CocoBongo. The club operates from Wednesday until Saturday, from 9 pm to 3 am. Friday and Saturday are, of course, the best days for visiting with the amazing mix of music genres and great DJs entertain hundreds of guests. 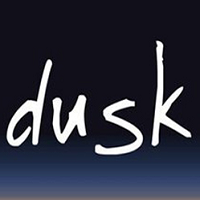 Dusk reflects the contemporary club and, according to many, the revolution of nightlife not only in Atlantic City, but also the whole state of New Jersey. If you want to experience New Jersey nightlife at its best, make sure to visit this place. The Dusk's fame is boosted by the fact that it has been voted "Best Place To Spot A Celebrity" for three years in a row and many awards that the club received for its design. Many famous musicians, like The Black Eyed Peas, Sean Kingston and LMFAO have been gracing the Dusk stage. From the very first moment you go through the perforated metal entrance of the club and descend down the interesting stairs, you get the feeling that you are travelling to a completely different world - an adult underworld playground, where real fun starts. If you want to spend a really memorable and crazy night and experience the New Jersey nightlife, this is one of the best places to do it. 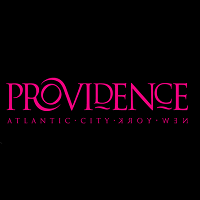 The very loud and dynamic Providence Club in Atlantic City is a perfect place to relax with your friends and dance to the rhythms of popular music. The club operates from 11 pm to 4 am on Thursday and Friday and from 10 pm to 4 am on Saturday. Everyone above the age of 21 is allowed to enter. Popular DJs always know how to throw an energetic party in the club and it is guaranteed that you won't leave disappointed with their choice of songs. The club features DJ "spinoffs" with bottle service, VIP lounge areas and an extremely energetic vibe. Mixx is the ideal place for embracing what the hotel Borgata's all about. When the sun goes down, this casino and spa resort turns into a dance emporium, where the most popular local DJs entertain the crowd all night long. Being both a restaurant and a nightclub, this place is the perfect choice no matter if you want a crazy night full of dancing and music or just a pleasant dinner. A delicious Latin/Asian fusion cuisine is served until late at night. 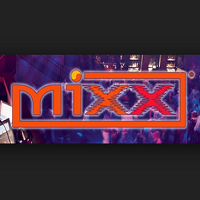 Visit the Mixx Club at the Borgata Hotel and learn what New Jersey nightlife really is about. Want to experience the New Jersey nightlife but don't have a clue where to go to? Here you will find just what you need - drinks, great music, big dance floor and nice party people. 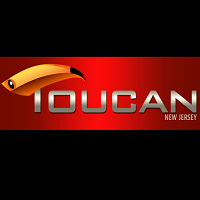 Toucan Reggae Lounge is a great environment where party organizers and DJs really know how to entertain people and get all their energy out. Forget about everything that bothers you and have an energetic Jersey night out. Toucan Reggae Lounge is waiting for you! Decor and delicious food are really special and the great reviews that the Lounge has received are a guarantee that you and your guests won't be disappointed with the services that the club provides. Experience the New Jersey nightlife scene at its best. 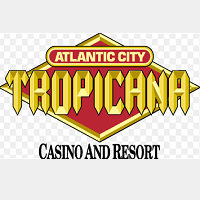 The Tropicana Resort is a great choice for a night out, considering its vast variety of places you can visit during the night. Every night at Tropicana is a world of its own. Parties are so amazing that you will be talking about them for years and look forward to visiting them again. With a dozen of different clubs, lounges, bars and happy hours every evening, in Tropicana everyone can find a place that suits them. The biggest attraction of the resort is its 24-hour mega-casino, which is crowded on evenings almost every day. In addition to this, there are 20 dining establishments, including the amazing Cuba Libre, a 1940s Havana-style restaurant that features antique mahogany and wonderful oak bars. If you were searching for a place to spend an unforgettable night in New Jersey, you are at the right place. Showboat Atlantic City is one of the best places for an entertaining and memorable night. With so many bars, rooms for a more peaceful evening, concert venues and a big casino, fun and excitement is guaranteed for the whole night. 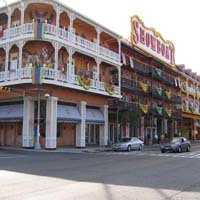 At Showboat you will be able to discover the true side of New Jersey nightlife and where better to do it than one of the state's biggest and best-known cities?